We have applied our knowledge to the widest variety of applications, from large scale civil projects, world class sporting events and temporary access to permanent installations for private individuals. 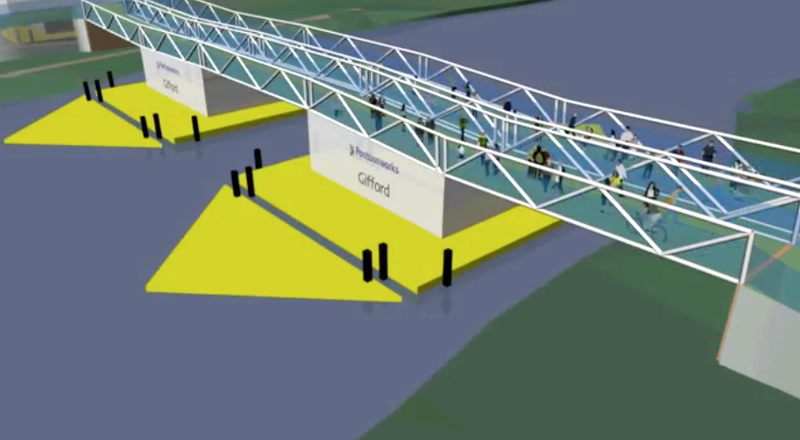 Whatever the scale of your project we are confident that Pontoonworks will have a solution. Our loyal and impressive client list is testament to our comprehensive and trusted service. Pontoonworks has pioneered new markets in recent years and continues to advance its knowledge and unparalleled service. From concept through to completion we can support our recommendations with a fully underwritten stress certification service, excellent customer care and a professional installation. As we continue to grow we are expanding our range of services by creating loyal affiliations with other specialised contractors ensuring quality, expertise, an excellent service, adherence to strict working codes of practice – and above all great value to our clients. We met the GIFFORD team on a prestigious society project in 2009. Their enthusiasm for what we are able to provide on water has enabled us to validate our service way beyond the manufacturer’s guarantees, which incidentally have run for an unblemished 40 years. 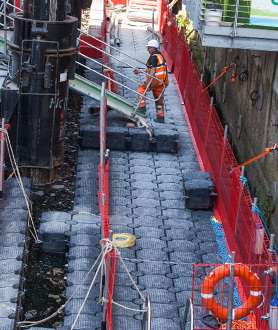 As part of our comprehensive service we now use a stress testing package designed with state of the art technology used for bridge engineering and design. With this ability to measure technical forces and strains posed by various marine environments our service can accommodate more complex installations. The data is specific to the Jetfloat system and can demonstrate the performance of your installation. Personnel on construction sites already face a higher risk of injury than in many other industries, but where water is added into the equation the hazards are increased considerably. 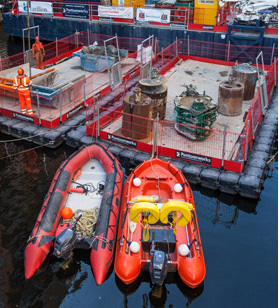 Pontoonworks has an ongoing commitment to health and safety and works closely with the HSE as we forge our own codes of practice. Our reputation for providing the safest working platforms is unquestionable. Our team will arrive with all the relevant tickets for site work, with high safety standards enforced by our NEBOSH trained managers. Together with up to date vehicle service documents and high quality PPE our strong health and safety culture ensures a smooth induction process and expert on-site service.